Automotive News reports that the sporting car revival is set to begin at Chinese MG dealers next month. 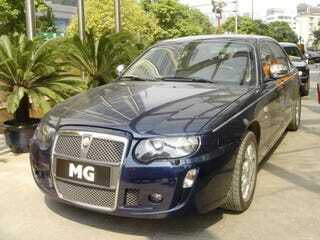 The long version of the MG will pack a 2.5 liter engine and a pricetag of 39,940 bucks. Three shorter versions will feature a 1.8 liter powerplant and a sticker of 22,630 to 26,590 dollars. The MG global launch will begin in UK and Europe markets near the end of this year. Nanjing MG Automotive and rival SAIC Motor are also discussing a merger, presumably so that they can produce the Super 7 Long Life Version MG to compete directly with worldwide sporting car rivals.